Ryan Schmaltz joined UNC School of the Arts in December 2017 as Director of the Media and Emerging Technology Lab (“METL”). As the Lab’s founding director, he leads the lab’s overall vision, programs, operations, and external partnerships. 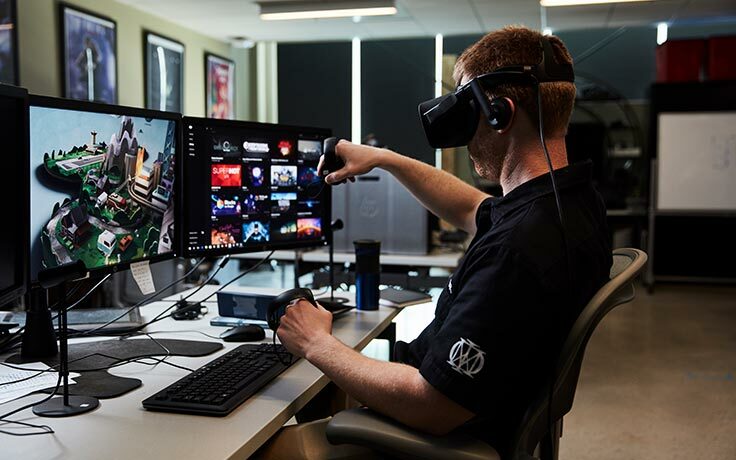 METL was founded by the School of Filmmaking and is focused on content and experience creation through emerging technologies such as virtual reality, augmented reality, motion capture, and others. METL was established to create economic opportunity for Winston-Salem and North Carolina and to serve as a bridge between industry and academia. It is a hub for thought leadership, innovation, and production. This is realized through industry partnerships, collaboration with start-ups, working in concert with North Carolina’s public and private universities, and through community outreach via the Lab’s planned experience center. Ryan Schmaltz has been at the forefront of technology since he began his career. He is a technology executive, speaker, advisor, and entrepreneur. Previously, Ryan was Executive Vice President at Blippar, one of the world’s leading companies for augmented reality and computer vision. Prior to Blippar, Ryan was an early leader at Uber and led cross-functional strategic initiatives for Uber’s executive leadership. He has also held roles at Microsoft, Adobe, and Deloitte. Ryan holds a Bachelor of Science in Management Information Systems and Supply Chain Management from California State University, Chico as well as an MBA from Johns Hopkins University.